In a probable first, the Delhi High Court yesterday restrained Amazon Export Sales LLC from selling counterfeit products through its Amazon Global Store on www.amazon.in. 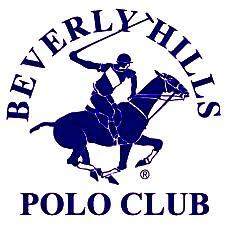 The action for trademark infringement has been brought by the global brand Beverly Hills Polo Club against Amazon India and Amazon Export Sales LLC (which operates through the Global Store platform of Amazon). As a background Beverly Hills Polo earlier, this year had claimed that some of Amazon's sellers were involved in widespread supply and sale of counterfeit goods. “The defendant shall remove forthwith from its platform any URLs which are pointed out by the plaintiff which are selling products in violation of the plaintiff’s right,” a July 2018 court ruling said so. “Counterfeiting activities on Amazon have seriously impacted the brand in India. Due to the safe harbor provided to infringers by Amazon, we do not have fair access to the Indian market. Due to the rapid expansion of e-commerce shopping in India, of which Amazon is both credible and dominant in India with the offer of cheap and inferior counterfeit products by Amazon's own store as well as third parties, the Brand has been impacted. Amazon is clearly abusing its dominant position in the Indian market. There ought to be check and balances under any law such that rights are not unfairly exploited. Despite our continuing notification to Amazon of infringing activities, sold directly by Amazon, as well as by third-party sellers, Amazon has continued its illegal and abusive practices and actively promoted the sale of counterfeit products,” said, Eli Haddad, Founder & Managing Director, Beverly Hills Polo Club.